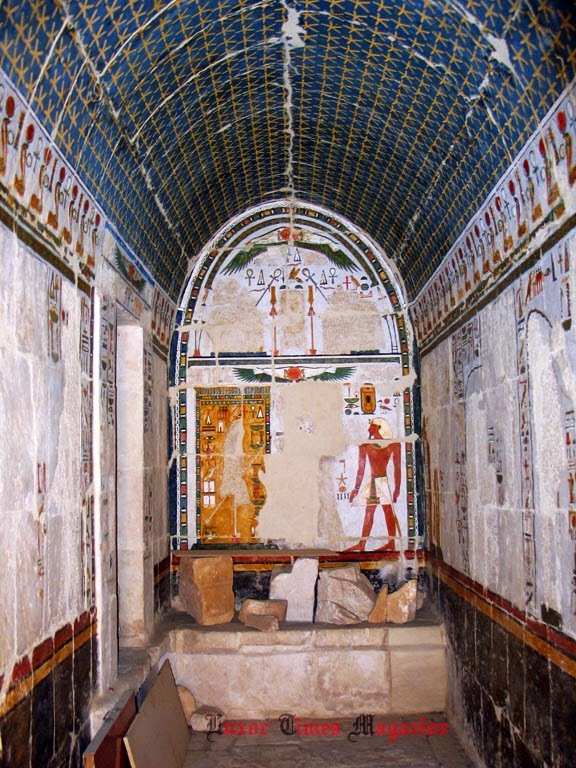 The opening ceremony of the Complex of the Sun Cult in the Temple of Hatshepsut at Deir el-Bahari will take place on Sunday noon. The event is organized by the Egyptian Ministry of State for Antiquities in cooperation with the PCMA Research Centre in Cairo and the Embassy of the Republic of Poland. The complex of the Sum cult is a group of rooms located in the northern part of the upper terrace of Hatshepsut's temple at Deir El-Bahari. It was first unearthed by the expedition of the Egypt Exploration Fund in 1893 under the direction of Edouard Naville and some of its texts and representations were published in his monumental publication of the whole temple. 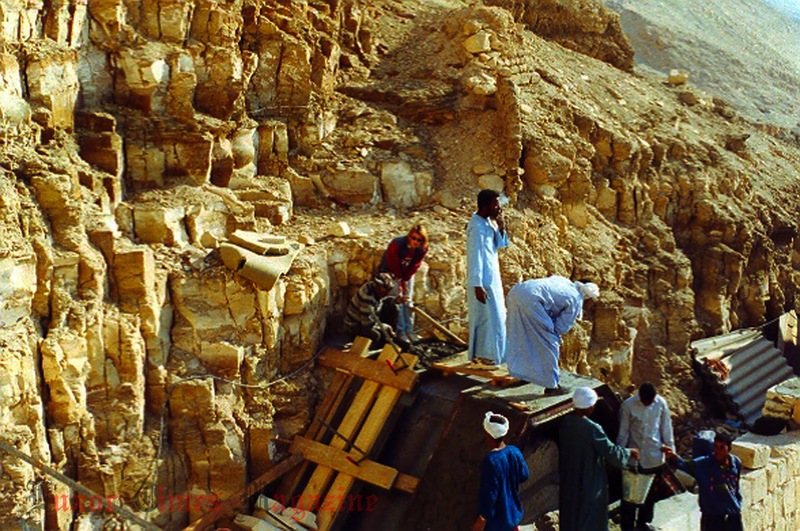 No other work was done in the complex until the undertaking of the restoration of the upper part of the temple by the Egyptian-Polish Archaeological and Preservation mission to the temple of Queen Hatshepsut. The works of the mission directed by Eng. 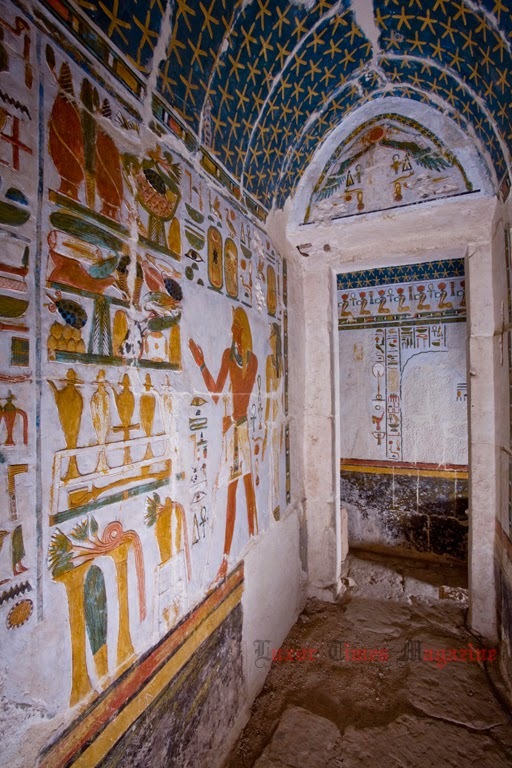 Zygmunt Wysocki (1968-1988), Dr. Franciszek Pawlicki (1992-1999) and Dr. Zbigniew E. Szafranski (1999 till present) resulted with the final restoration and conservation of this part of Hatshepsut's temple. 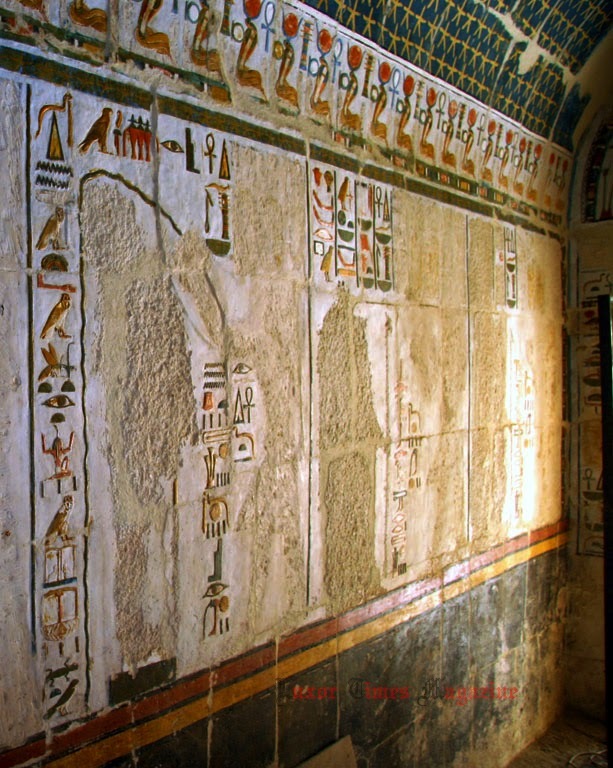 Hundreds of the decorated blocks in the temple's storerooms, were attributed and finally insert into the walls of the complex. The Sun altar and walls of the courtyard were restored as well. 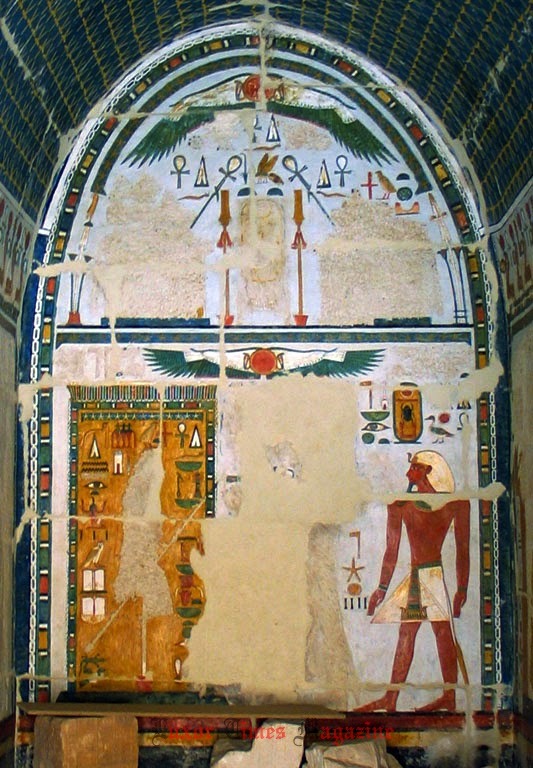 The upper Anubis shrine was secured against Esna-shale rocks and its famous representations protected by conservators. 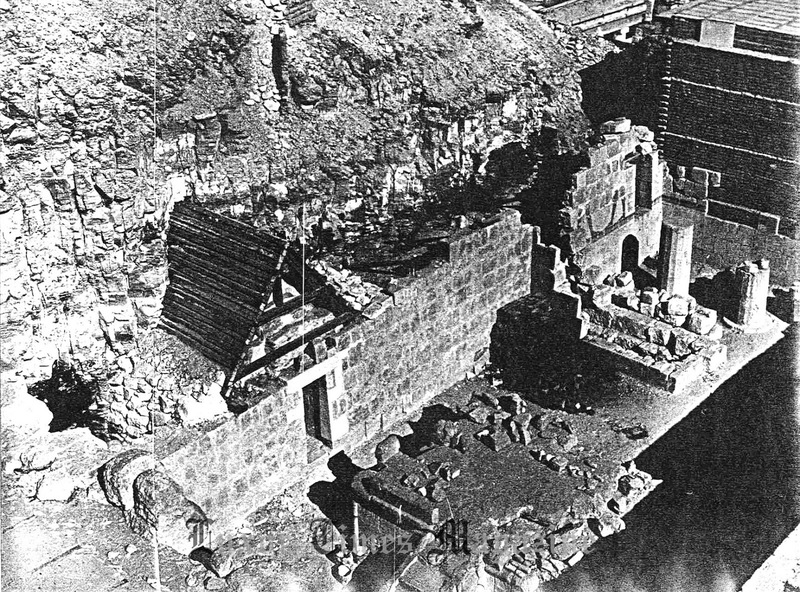 Finally the publication of the complex was done by Dr. Janusz Karkowski who was also responsible for Egyptological project of the restoration works. 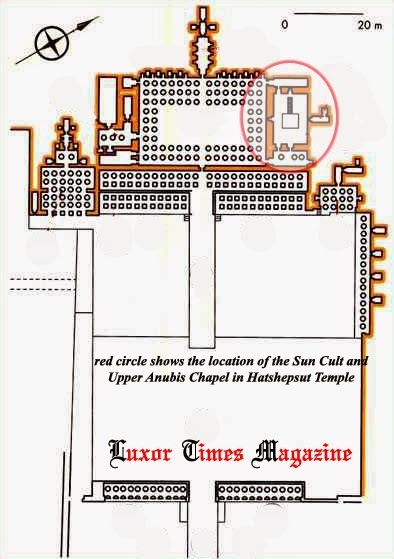 The complex consists of two main rooms: the Night Sun chapel (Vestibule) and the altar courtyard together with two small transitory rooms, one separating the Night Sun chapel from the Altar courtyard and the other separating the Night Sun chapel from the rest of the upper courtyard. 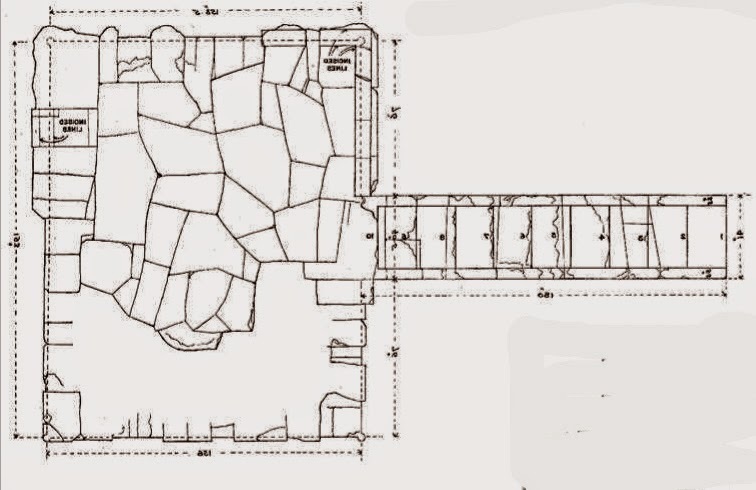 There are also three small niches as well: two in the west and south walls of the Altar courtyard and one in then north wall of the Night Sun chapel. 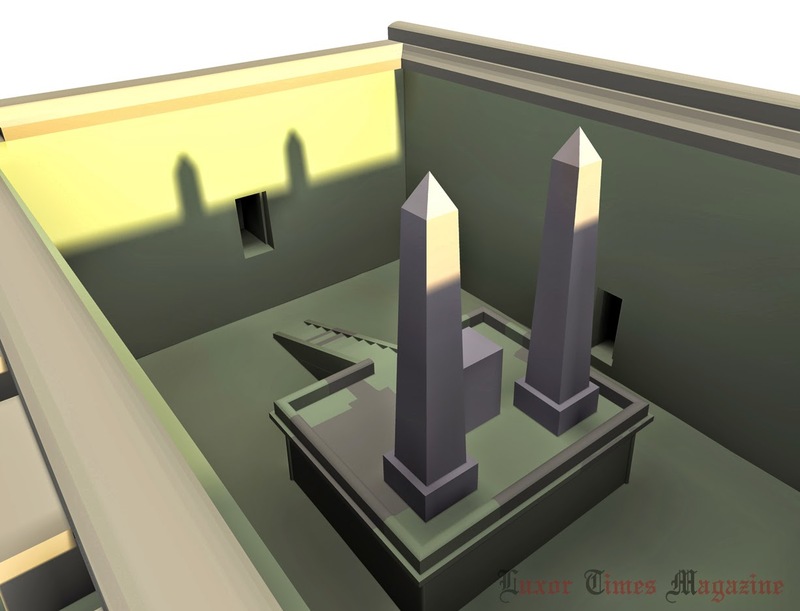 The upper Anubis shrine, adjacent to the north wall of the altar courtyard, apparently was not an essential part of the complex but the exact function of this temple unit remains to be determined. The Night Sun chapel was decorated with the representations of the solar bark with the sun god while his nocturnal journey in the netherworld. The location of the chapel in the eastern part of the complex stressed the idea of the resurrection of the sun in the eastern horizon after having travelled through the netherworld at night. 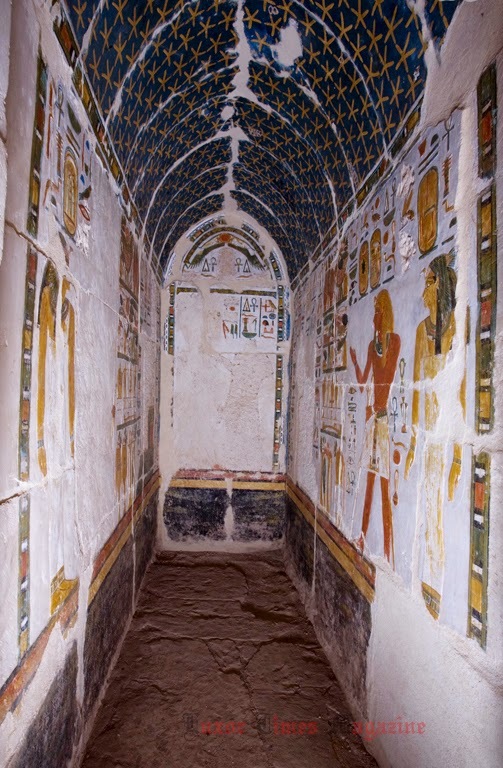 From this chapel comes also the very first attestation of the text called King as the Sun Priest, an important theological treatise that stresses the role of the pharaoh as the heir and the servant of the solar god. The Altar courtyard is, contrary to the Night Sun chapel, open to the sun light. 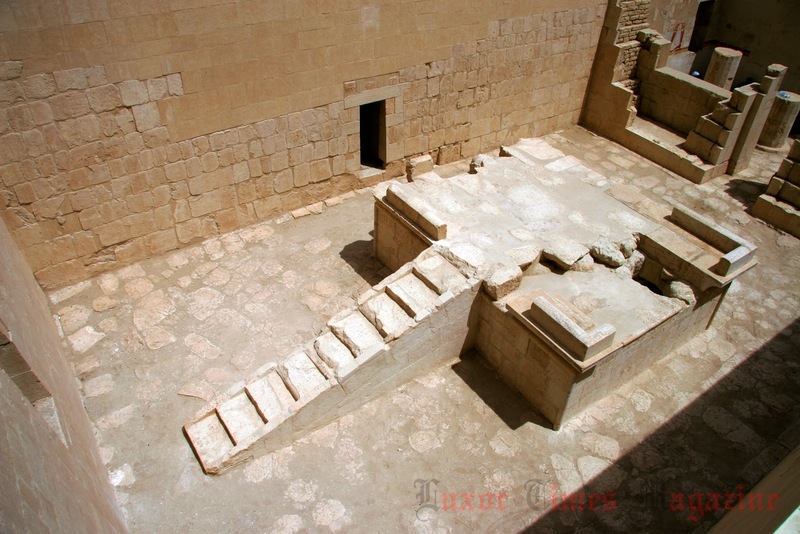 The courtyard is dominated by the huge limestone altar which every day was touched by the sun rays. This part of the complex is dedicated to the diurnal journey of the sun in the sky. Together with the Night Sun chapel it constitutes thus the small scale representation of the whole universe, mirroring the diurnal and nocturnal journey of the sun god. 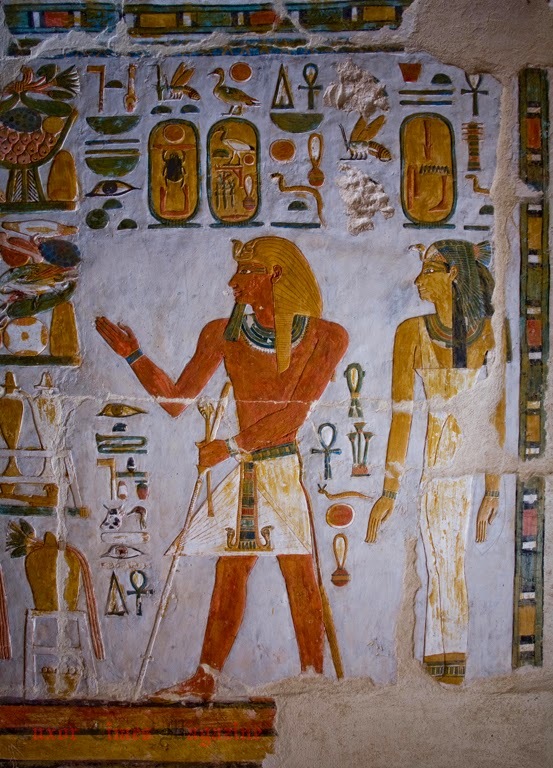 The main deity worshiped in the complex of the Sun cult was Amun-Re, but an important place was reserved also for Ra-Horakhty and Atum-Amun, which are nothing more than three different aspects and forms of the solar god, complementing each other. 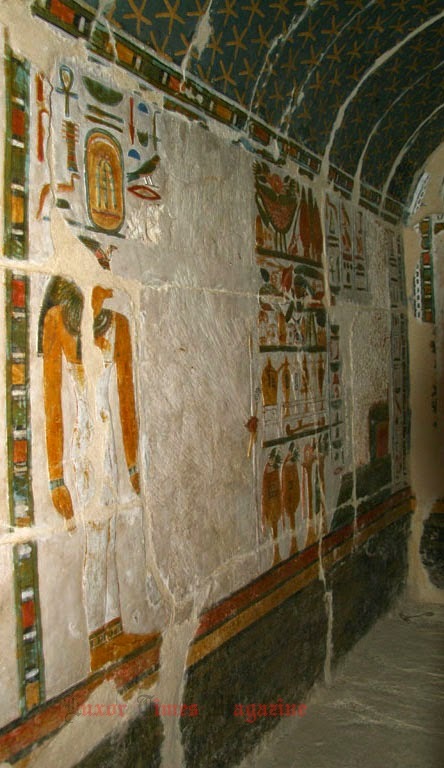 The rituals represented on the complex walls were performed by the king which once again stressed the role of the pharaoh as the heir of the sun god. 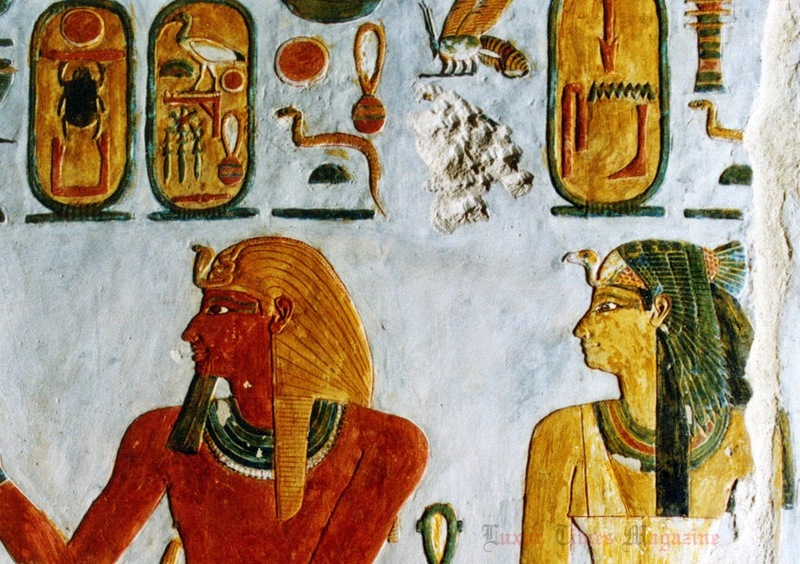 In the case of Hatshepsut it had also an additional purpose of the legitimisation of her kingships as she claimed to be the bodily daughter of Amun-Ra himself. Now, after the restoration, the complex of the Sun cult at Deir El-Bahari is one of the best preserved in the Theban temples. Its architectural arrangement and theological ideas were followed by pharaohs of the New Kingdom, by Ramses II, especially. 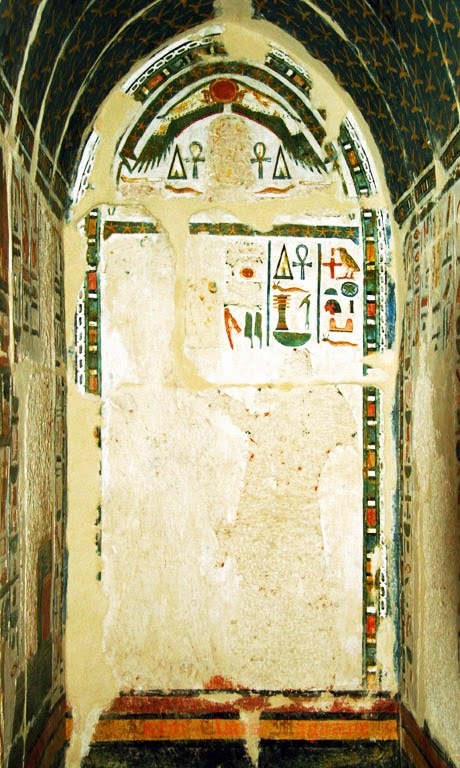 Until 2002, the vault of the Upper Anubis shrine was protected by a temporary wooden shelter on the form of a gable roof with a slope of ~45º (100%). Technical condition of this shelter structure left much to be desired with the outer roofing damaged, frayed at the roof edges and with sections missing. It no longer served its purpose. Design guidelines for protection of the shrine and installing a roof above were invented and designed by Mieczyslaw Michiewicz in 1999. 5) Protection from temperature variation, water condensation and ultraviolet radiation. It was designed as a spatial, steel and reinforced concrete structure rising above the top of the shrine's vault. The carrying framework is formed if welded steel trapeze frames made of double T hot rolled profiles 140 mm high, spaced axially every 85 cm. These frames were supported on steel beams concreted in rock-cut sockets on one side and supported on the uncovered part of the north wall of the Altar courtyard on the other. The supports distribute the vertical and horizontal loads from the frame strutting. The edge frame set on the wall surface was reinforced with steel tighteners, limiting the considerable spread of the support beams. The steel frames were filled with monolithic robbed plates 14 cm thick, reinforced with smooth steel of A0 class, 8 mm in diameter and with a span of 15 cm. The edge panel of the reinforced concrete slab on the side of the rock slope is supported on a steel frame and continuous groove cut in the rock. The steel structure was given a rustproof costing. B20 monolithic concrete was used (C16/20). Slabs were poured in traditional framework of galvanised steel sheets, the latter also protecting the top surfaces of the shrine's vault from the wet concrete mass. The top surface of the roof shelter was covered with two layers of a bitumen mass, additionally protecting against water and damp. 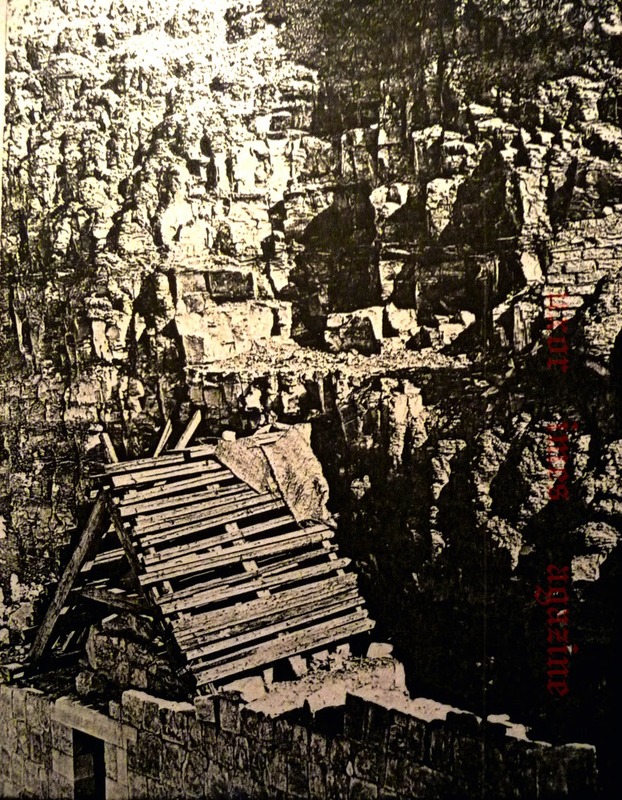 Once the concrete achieved full strength, the roof shelter was covered with rock detritus, which was designed to act additionally as a shock-absorbing layer for dynamic rock falls from considerable heights. 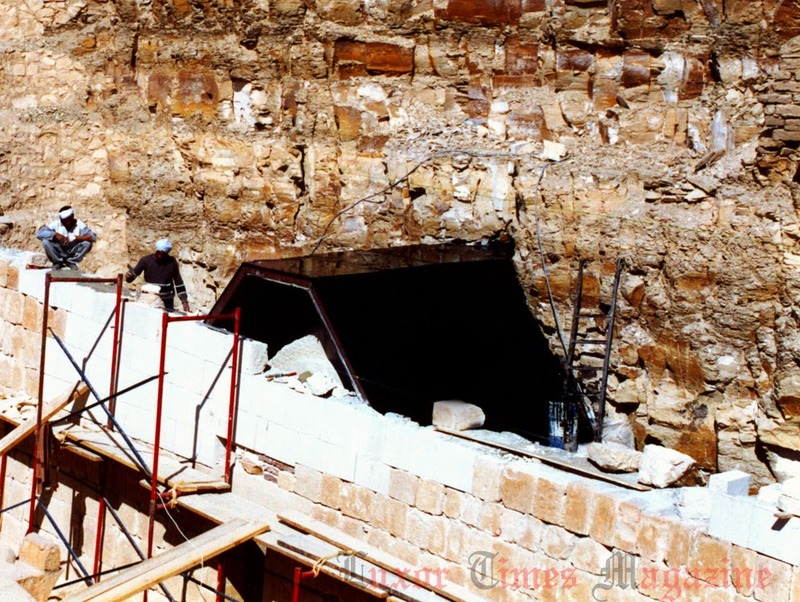 Work on the north wall of the court proceeded concurrently with structural work on the shrine. In line with the program guidelines, stone blocks of specific dimensions according to the historic courses were prepared. Above the ancient vault of the shrine, one of the blocks was mounted in a movable position in order to assure continuous monitoring of the original vault, this in line with ICOMOS charter of 2003 (pt. 3.21) which says that "checks and monitoring during and after the intervention should be carried out to ascertain the efficacy of the results." This overview is breathetaking already! Thank you so much!